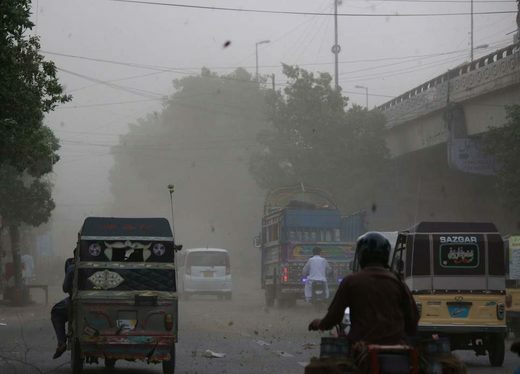 Five people are reported dead after a dust storm engulfed the city of Karachi in Pakistan. Local media have reported up to 86 people were also injured following the storm early on Monday. Pakistani news channel Geo News reported one man died after a tree fell on him, while two children were among the fatalities in separate incidents. Meanwhile, it said five students were injured and rushed to hospital after the roof of their school collapsed. The imam of a mosque was also hurt after the building’s makeshift roof collapsed. Dramatic videos posted on social media showed strong winds battering the city, with trees appearing close to being uprooted.